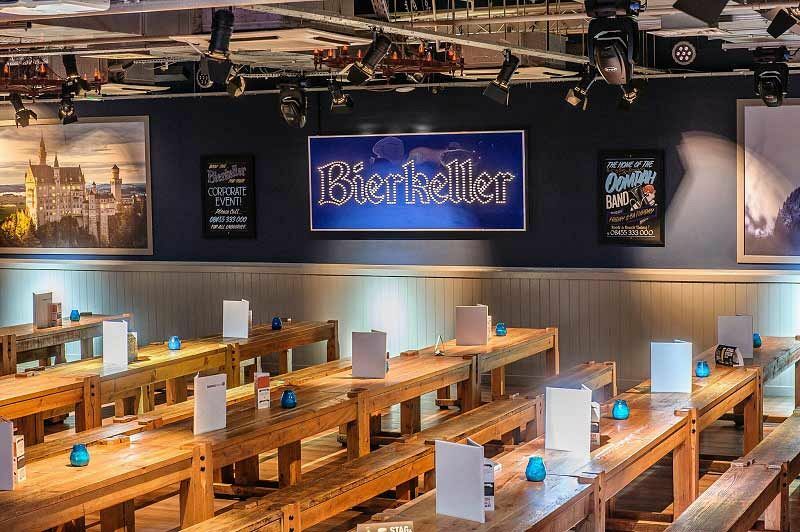 Make your Christmas party in Liverpool one to remember this year with an evening at this top Bierkeller venue where you and your team will join other groups and party the night away – Bavarian style! If you want to go all out, then why not experience the Oompah package, where you'll enjoy delicious German food, drink and an incredibly energetic performance from the famous live Oompah band on Thursdays, Fridays and Saturdays, who will be sure to have you dancing on top of the classic long wooden tables as you clutch a stein of Bier! 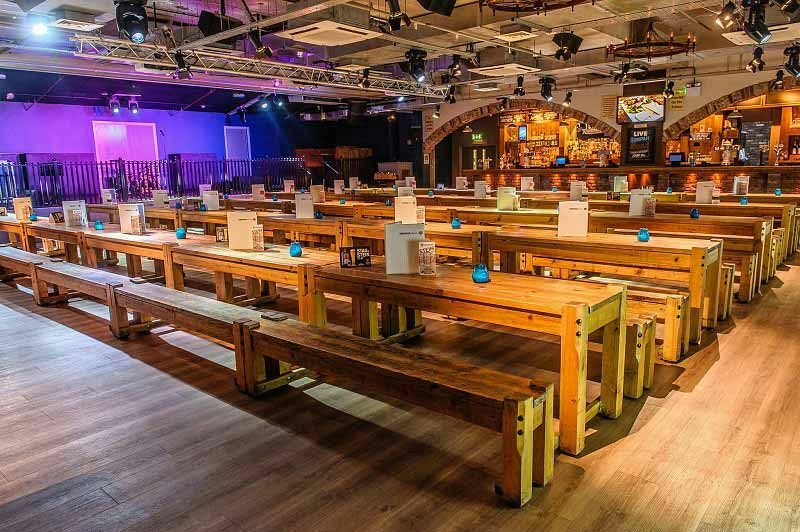 With this top party package, you’ll receive guaranteed seating in addition to a traditional Pretzel and a shot, in addition to a succulent hog roast dinner. The vegetarians need not worry, because there will be an equally delicious alternative available for them to tuck into during the night. You’ll also receive a stein of Haus Bier, cider or cocktail to get those party vibes flowing nicely! Alternative packages are available Sunday-Wednesday. After your food, it will be time to enjoy the talents of the live Oompah band who will be sure to raise the roof! These shows are fun, lively and energetic, so you know that the intensity of the party atmosphere will increase when they come on stage. It’s no wonder that this band have earned such a fantastic reputation! 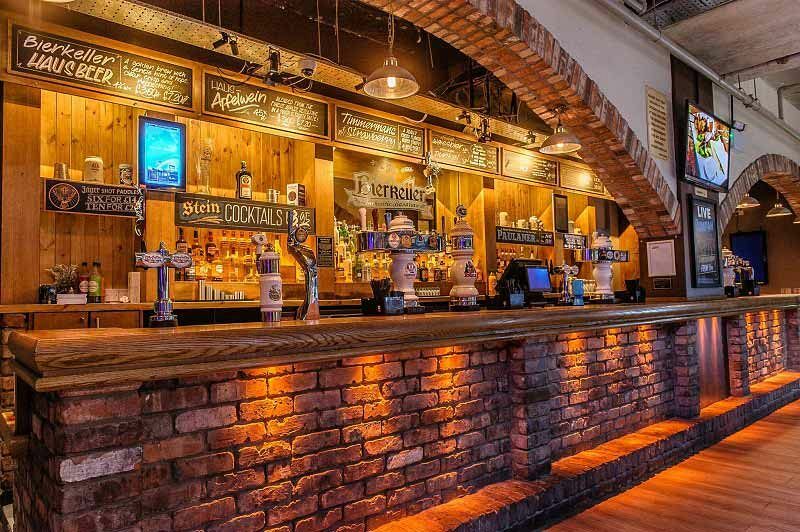 The venue is situated near to the city’s docks and just a 10-minute walk from James Street train station, guests will be well located for public transport to arrive and depart the evening. For anyone looking to drive, then chargeable parking is available at the Q-Park located nearby. 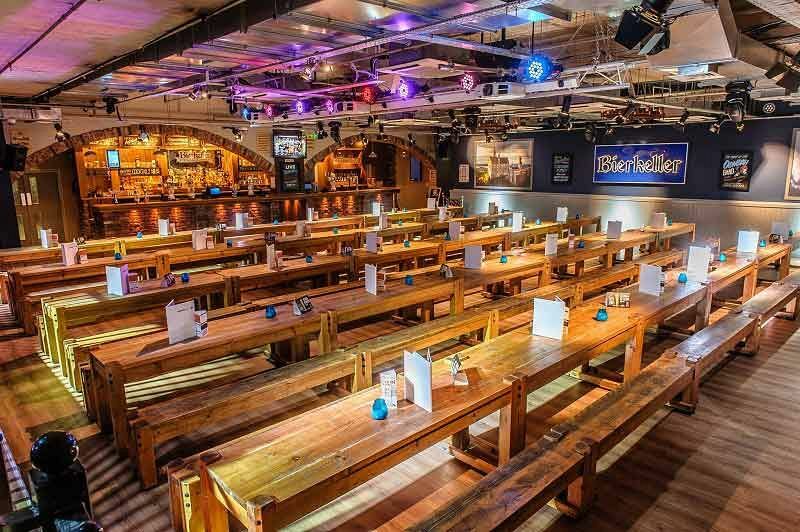 Book your shared Christmas celebration at this top Bierkeller venue and make your evening one to remember! Succulent hog roast or vegetarian alternative included in this package.